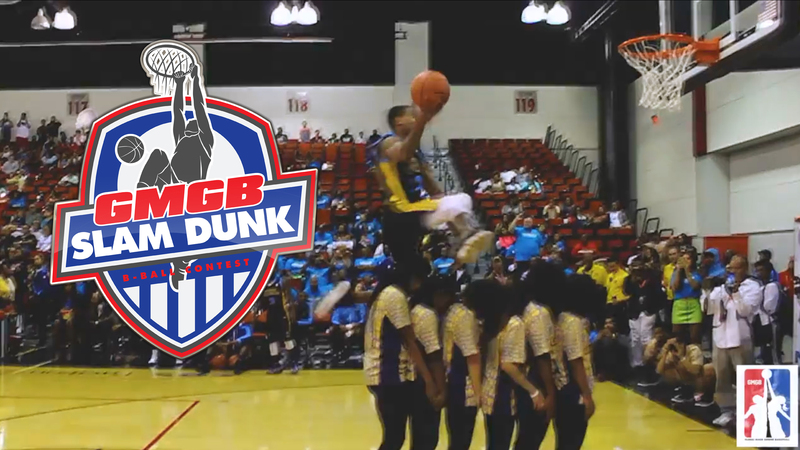 Guy Dupuy jumps over six New Orleans Gators “G-Squad” dancers to win the first Global Mixed Gender Basketball (GMGB) Exhibition Game Slam Dunk Contest. It was a historical night for GMGB and Dupuy brought out all of his creative basketball dunking skills to astonish the crowd. Brittney Griner, Chiney Ogwumike and Caron Butler judged the contest giving Dupuy straight tens. Congrats to Guy Dupuy for winning the first co-ed professional slam dunk contest.